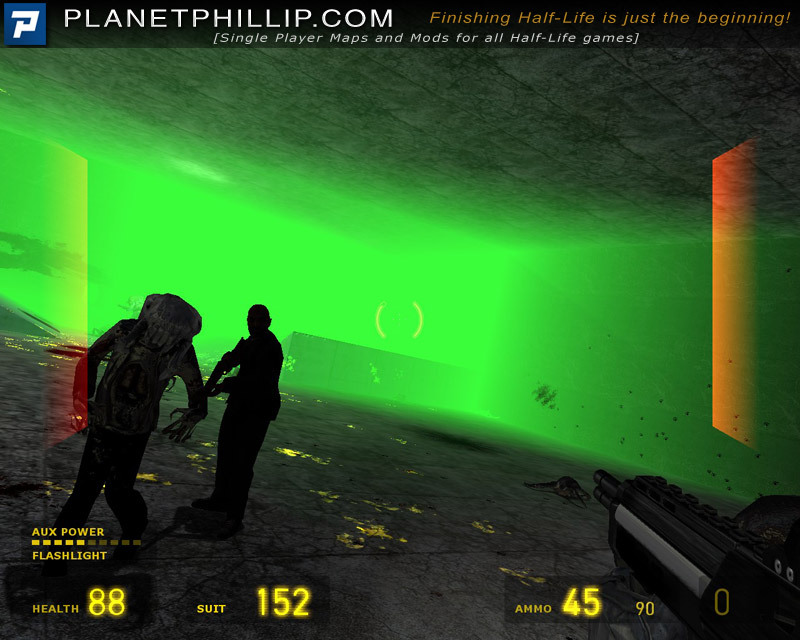 A never-ending map, with a green hue in the back from where zombies are spawned. You and your fellow rebels are at the other end waiting for the onslaught. Father Gregori is in the middle, doing his best to help you. 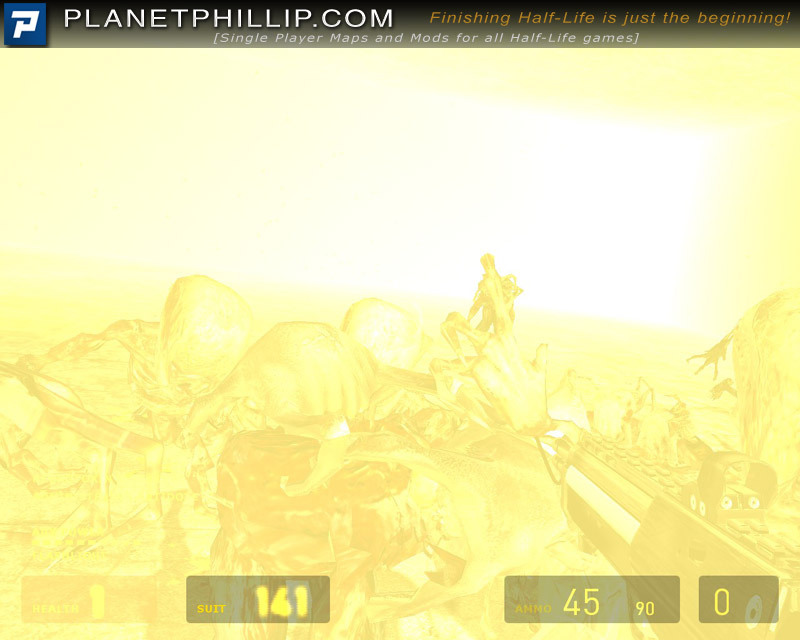 Copy zombiez.bsp into your Half-Life 2 Maps folder. Open the console and type map zombiez. Play and wish you hadn’t! Yes, posting all the details took longer than playing the map, yes, this review took longer to write than playing the map. Don’t start talking about why I added this map. Any comments like that will be deleted. I added it because it was released and it fits the site’s criteria. End of story. Don’t play this map. Clear enough? 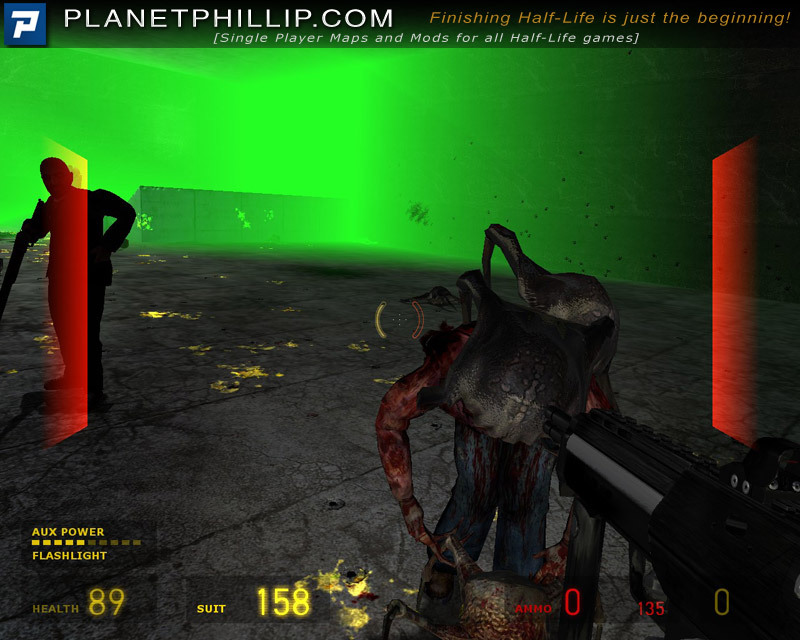 * Copy zombiez.bsp into your Half-Life 2 Maps folder. * Open the console and type map zombiez. * Press enter/return or click the Submit button. Somehow this map made me think a bit. Would a proper level designer be able to make a map like this fun? Could this be fun, if set in visually beautiful environments, with professional voice acting, a real story, and beta-tested gameplay? Could that make such a never-ending map fun? Or would it need an ending, if it has a story? Would adding a story ruin the genre of a never-ending zombie map, or would it just become L4Ds survival mode? I guess it’s good for practicing this weeks challenge. True, but it’s pretty hard to do. That’s 2 maps I’ve avoided – getting habit forming. But, but, but….. Father Gregori is in it! Normally that would mean (if he was talking) “Play It Now”? I didn’t even need to download this map to know it’s very horrible.. I mean I looked at two of the shots and just a shiver went down my back of the wasted HD space that this garbage would take up.. Sorry fellas,but this game play is far too much like the “Gateways”mod I played some time ago.